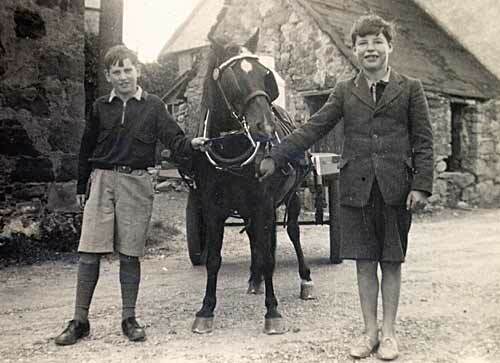 This picture shows John McBean and Dod McLemman holding a pony and cart. Not quite sure where the picture was taken so any thoughts would be warmly welcomed. John says that the pony used to get a bun as it passed the bakers each morning, but was clever enough not to stop on Sunday knowing the baker was closed.